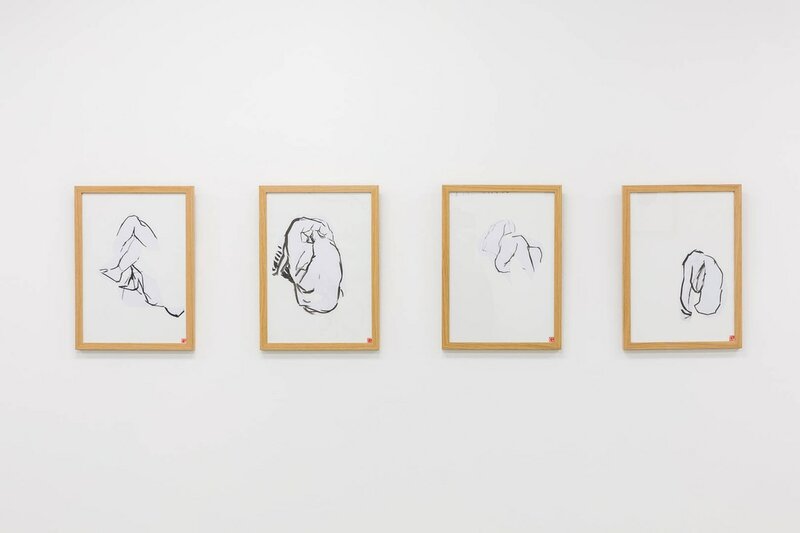 Chloe’s works are largely centred on the practice of figurative life drawing, both in terms of working within this medium and in contemplating the actual act as a discipline of observation. She finds the exercise of ‘people watching’ or ‘people mapping’ to be extremely compelling, particularly in the highly speculative and open-ended nature of bodily gestures such as a hunched shoulder, a heavy walking gait or the wave of a hand. As such, her works embrace the inherently voyeuristic quality of her intense scrutiny, as she searches to find meaning in seemingly mundane exchanges between strangers.